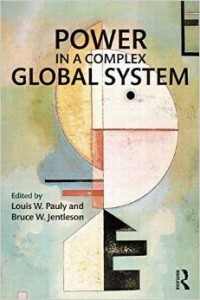 Can twenty-first-century global challenges be met through the limited adaptation of existing structures of political authority and prevailing systemic norms, or is a more fundamental reconstitution necessary? Are the stresses now evident in the domestic compacts underpinning advanced societies (let alone failed and failing states) significantly more serious than in the past and capable of undermining the fundamental policy capacity of existing states and the collective instruments created by them? In this book, these questions, revolving around long-standing debates on the nature and purpose of power, are addressed at national, regional, and international levels of governance.